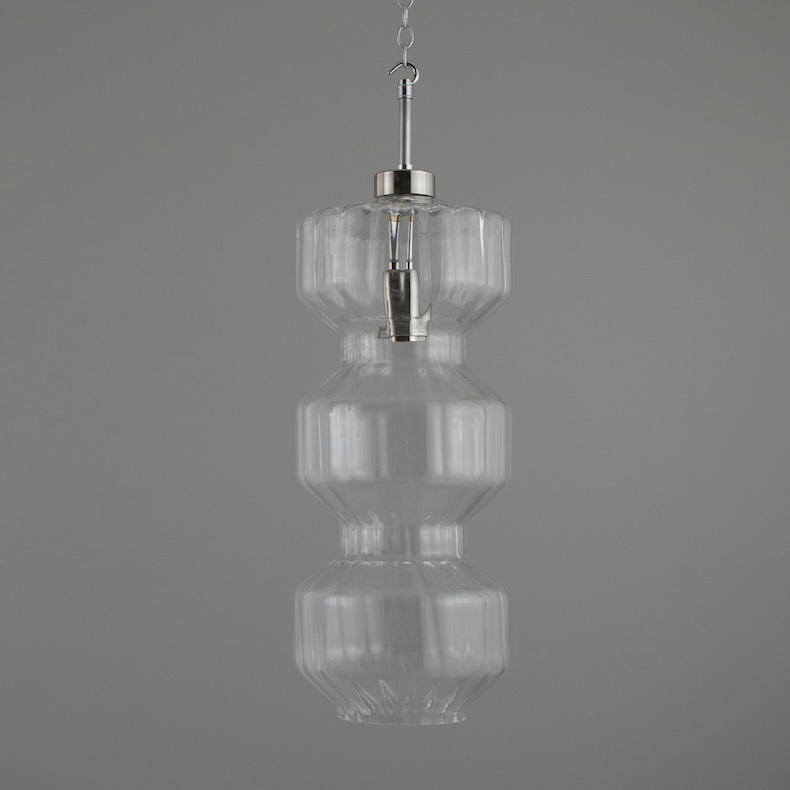 XL Retro Czech glass pendants - Unusual 1970s retro styled pendant lights with a distinctive profile, crafted from hand blown clear glass with ribbed detailing to the inside surface - real feature fittings. 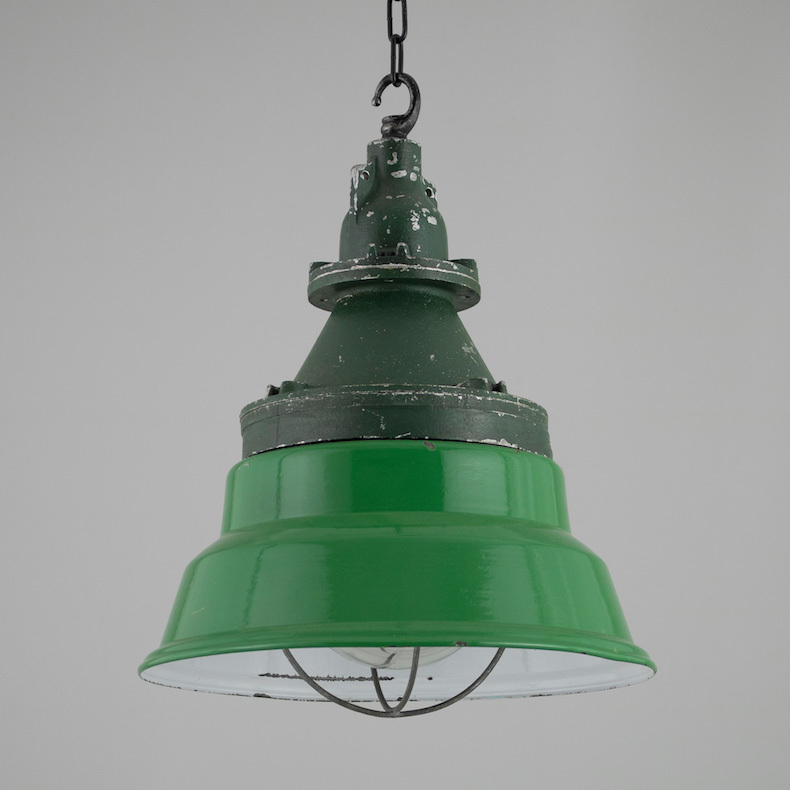 Munitions store lights (V3) - These lights were once installed at a mine in Fife, Scotland. Due to the volatile contents (explosives and detonators) in the stores they were in, the lights were required to be flameproof and sealed to prevent any risk of escaping sparks. 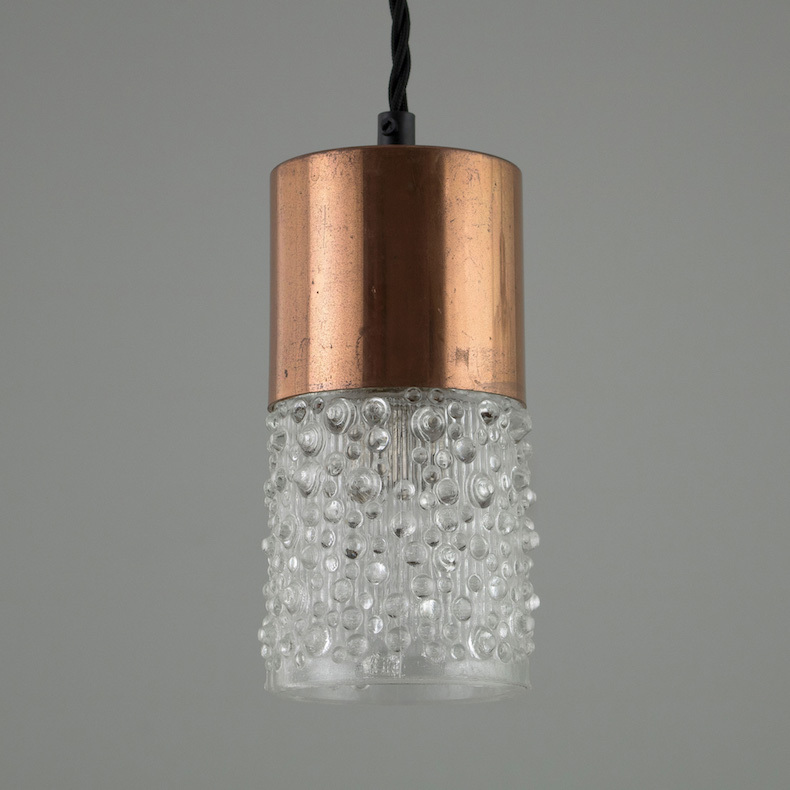 Retro moulded glass pendant lights - Stylish Czech pendants from the 1960s, with a moulded, open-bottomed glass shade and a copper plated/thermoplastic gallery. 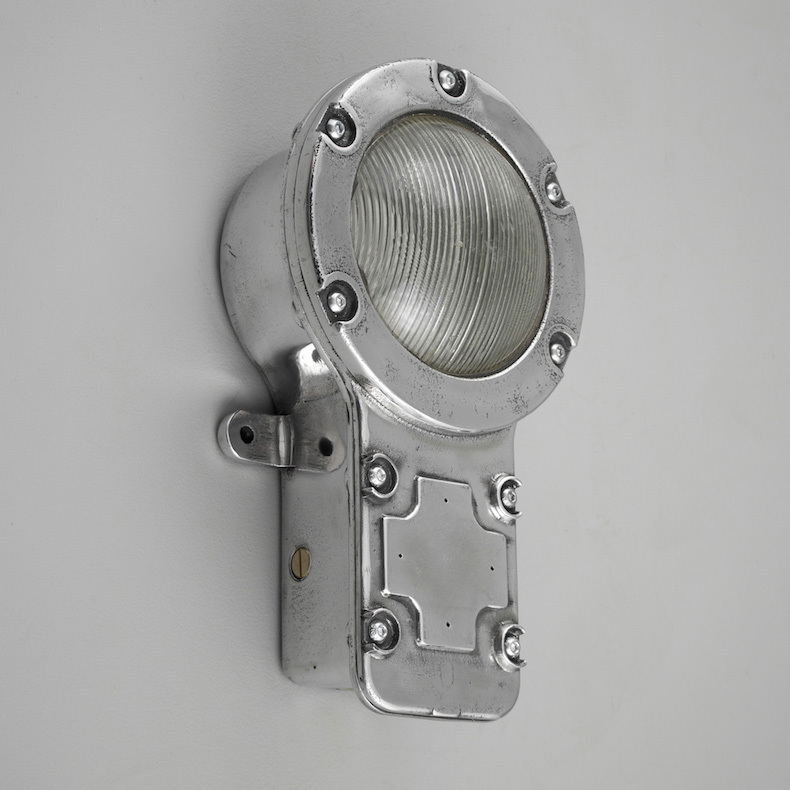 Salvaged British bulkheads by Holophane - A large run of vintage Holophane lights salvaged from HMS Llandaff, a recently decommissioned Type 61 aircraft frigate for the Royal Navy, launched in 1955. 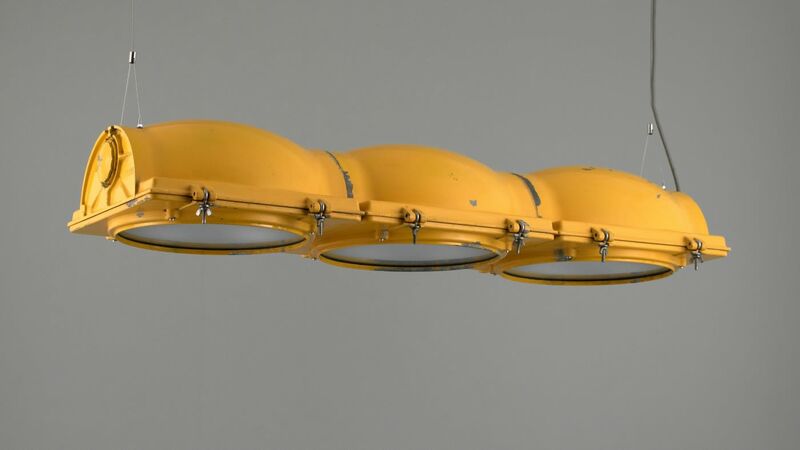 US traffic lights (Type 16 Raw) - An impressive feature light, comprising of a set of three 1950s salvaged American traffic lights by Eagle Star, retaining the original yellow paint finish. 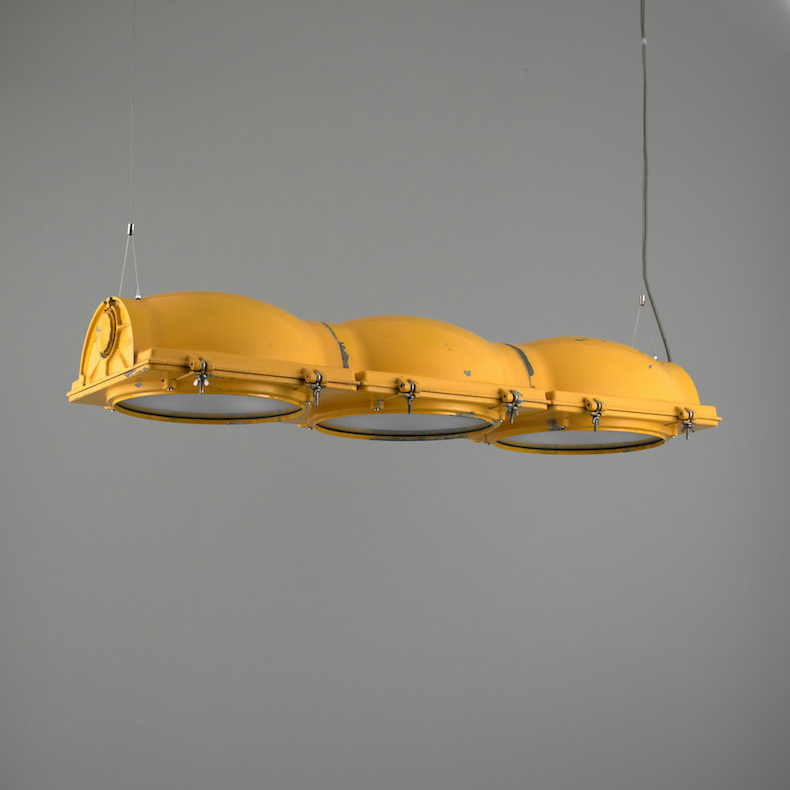 Shop all vintage lights by skinflint.